Find a place for your clock repairing in Phuket from a list of Phuketindex.com that provides helpful information for your convenience on clock repairing in Phuket. 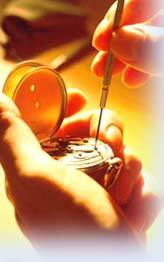 Make everything easy when you are looking for clock repairing services in Phuket. Welcome to Uthaisilp Optical! a wide selection of watch bands. We invite you to visit to our showroom “Washington Optic” on Rasada Rd. we have many kind of the fashionable watch to present you.